The Economist Intelligence Unit asked CMOs to predict the future. 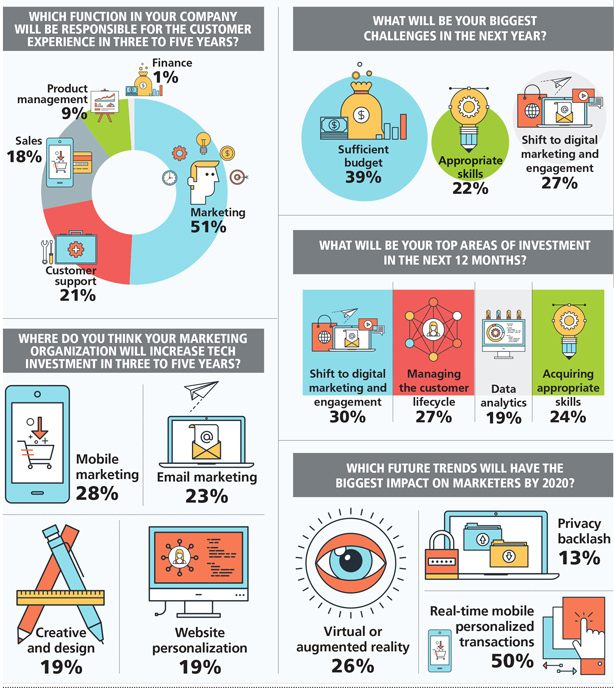 The Economist Intelligence Unit asked nearly 500 CMOs to predict the future, specifically what challenges they will face in the next 12 months and the next five years. They cited budget concerns, the growing importance of customer engagement, and real-time mobile personalized transactions.